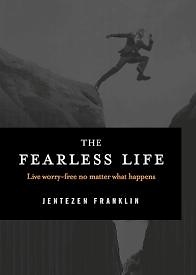 Identify and defeat the source of your fears and reclaim a life of success, peace, and joy. Don't let the 24-hour news channels steal your joy, peace, and even your future with their reports of school shootings, job loss, economic "fiscal cliffs," terrorism, and other bad news. You don't have to live in fear and worry about your finances, your family, or your health. Stop wasting your days with worry, and eradicate this strategy of the enemy. It's time to step out in confidence and make the fearless life a reality.